From everyday finances to life’s major milestones, Alaska USA Federal Credit Union provides the service and guidance to get you where you want to go. When you join Alaska USA, you become a part of something bigger. You’re part of a member-owned financial co-op that’s not for profit, providing for life’s financial needs in a way that banks don’t. Banks are motivated by profit. We’re motivated by you. We don’t have shareholders. We’re owned by members, which means we return profits to members across our accounts and services—like checking, savings, insurance, access to retirement planning, investments, home loans, and banking for your business too. Lower interest rates, fewer fees, and your financial wellbeing come first. We can get you a great rate on a car loan and find you the best insurance to go with it. We can help you become a homeowner while building your successful financial future. We can do these things because we’re member-owned. Providing outstanding service and products to members is more than our mission—it’s the whole reason we exist. Steer clear of monthly fees while earning dividends—not just with your savings, but your checking too. Alaska USA gives you a variety of options, all of them federally insured. As a member, you’ll have access to great rates, flexible online banking, and around-the-clock live support across a range of accounts that are available at little to no cost. Alaska USA offers three personal checking account options that include no monthly fee options, overdraft protection, and the option to earn dividends starting at balances of $1,000. Choose between Share Savings and Premium Savings. Both are free from fees on balances above $50, while Premium Savings gives you a higher rate of return on balances of $10,000 or more. Alaska USA also offers Money Market Accounts, Certificate Accounts, Individual Retirement Accounts (IRAs), and Health Savings Accounts (HSAs), all federally insured with excellent rates. ATM and Visa® Debit Card - Access your money around the world on 55,000+ surcharge-free ATMs. The Alaska USA app - Free online banking on your computer or smartphone. AlaskaUSA Visa® Platinum Credit Card - earn reward points and pay no annual fee. Alaska USA Member Service Center - 24 hours a day, 7 days a week at 800-525-9094. ClickSWITCH™ - Easily consolidate all of your direct deposits and automatic payments to your Alaska USA account. Get competitive rates, up to 100% financing on approved credit, and fast decisions for cars and trucks, boats and RVs, credit cards and personal loans, and more. Save on great rates and pay no application or origination fees on a wide range of personal loans with up to 100% financing on approved credit. Save money when you get a consumer loan from Alaska USA when you’re shopping for a new or used vehicle, boat, RV, ATV, trailer, computer, and more. Combine a low fixed rate for qualified borrowers, no foreign transaction fees, flexible reward points, and easy, secure mobile payments, all in one card. With options such as Signature personal loans, credit lines, and special loans for military members, you have choices to make purchases convenient and affordable. Finance home improvements, tap into your home equity to pay for something special, or buy a piece of land with a real estate loan—or purchase or refinance a home with a mortgage. Alaska USA has the real estate loan you’re looking for—and the people to see it through, with real estate loan experts who’ll guide you every step of the way. If you're planning to purchase a new home, investment property, second home, or refinancing your existing home loan, contact a home loan expert at Alaska USA Mortgage Company—which is wholly owned by Alaska USA Federal Credit Union and offers a wide variety of loan programs and great rates. Mortgage loans in Arizona are provided by Alaska USA Federal Credit Union, where you’ll get the same level of service and care by getting in touch with one of our Arizona home loan experts. Our home loan experts are more experienced on average than the competition. We take your entire financial snapshot into account, lending with your financial wellbeing in mind. Transparent and ethical—you always know where you stand with us. Protect yourself, your family, your home, and your vehicles. Our insurance brokers do all the work, finding you the coverage you need at the savings you want. We’re an independent broker, which gets you coverage from the top insurance carriers in the nation according to A.M. Best, a leading independent insurance analyst. Umbrella coverage, life insurance, and more. Homeowners, condo, renters, and landlord insurance. Auto, boat, RV, motorcycle insurance, and more. 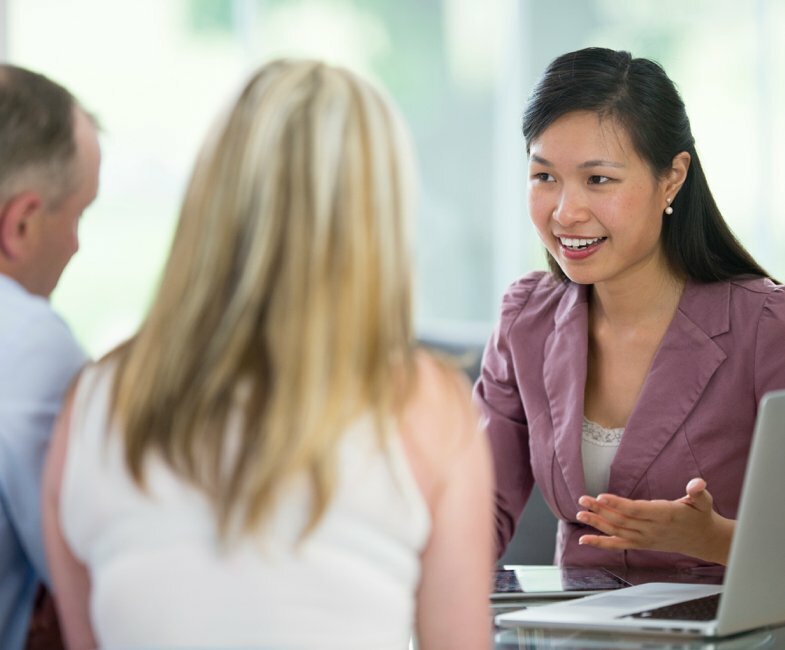 Work with an agent who takes the time to get to know you and your needs. Save time and money by having us shop around for the best policy. Get a quote online or in one of the 80-plus branches in AK, AZ, CA, and WA. Whether you’re planning for the years ahead or are nearing retirement, we’re here to guide you through your options so you can secure your future. No matter what’s on your horizon—college tuition, retirement, or the security of a balanced portfolio, an experienced Alaska USA Financial Planning and Investment Services advisor can create and guide your financial plan. 529 plans (qualified tuition plans) and Coverdell Education Savings Plans. Traditional IRA, Roth IRA, and Qualified Retirement Plan Rollovers. Long-term care insurance to cover extended care costs not normally covered by health insurance. Disability income insurance for income protection in the event of injury or disability that causes a loss in earnings. Annuities, which are often used to provide a steady stream of income during retirement. Use our branch locator to find one of our branches or convienient ATMs. Alaska USA has turned out to be the best financial institution I've ever worked with. Transactions are easy and stress-free, and the online account management is especially convenient. If you have questions or special circumstances, the customer service folks are informed, perceptive, and efficient. You really can't do better than Alaska USA. I joined when I got stationed at Elmendorf Air Force Base in ‘75. When I left two years later, I decided to keep the account—and I'm so glad I did! Fantastic customer service, no matter where in the world I was stationed during my 24-year Air Force career. Now, living in Ohio, I still depend on Alaska USA and will continue to forever. Thanks for being there, and for all your support!